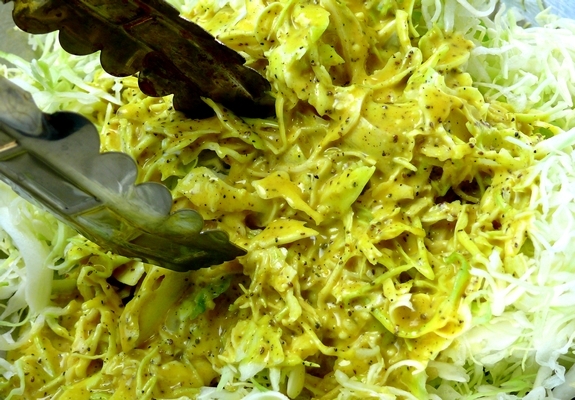 This Tennessee-Style Mustard Coleslaw is a classic mayonnaise-based coleslaw bolstered with the addition of mustard…..so yummy. You are going to need a side dish for Dad’s barbecue this weekend. 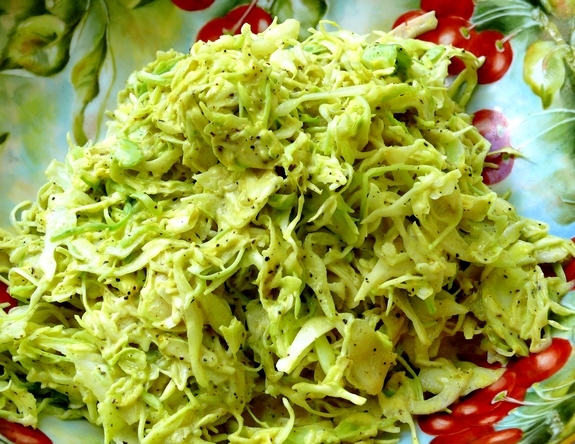 Make it this slaw and he will be very happy. The celery seed addition is my favorite here, giving off so much depth and complexity to this simple dish. We even made a few chicken burgers and placed the slaw right on top of meat, under the bun. To die for. We know you will like it too!! 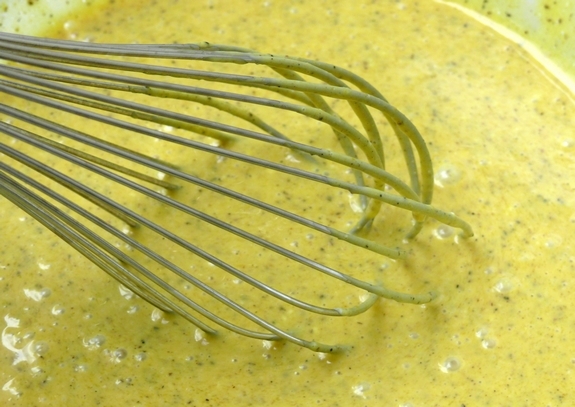 Whisk together mayonnaise, mustard, vinegar, sugar, salt, pepper and celery seeds in a bowl. Add cabbage and toss. Chill. Oh serious yum with a burger or better yet pulled pork. 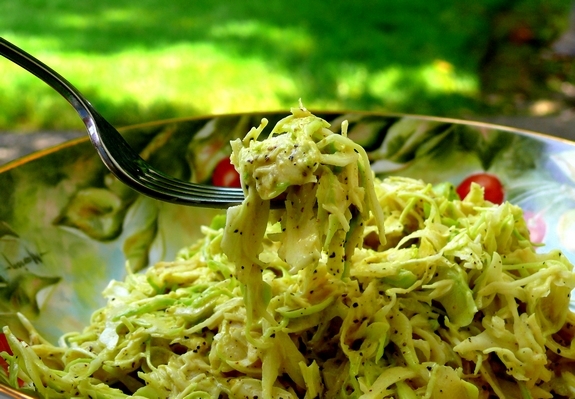 I am always hoping to find a coleslaw recipe I will really like, and this looks like it, as I love mustard. I also love the bowl in your pictures — may I ask if that is a particular brand? The colors are beautiful! Live in Nashville and have never had mustard in my coleslaw, so don’t know why this is TN coleslaw. Nevertheless, your photographs are beautiful and I would try it if the hubby liked mustard. He is my obstacle to people telling me I’m a good cook! Picky picky picky. I love cole slaw but have never had this type (with all that mustard). No too big a fan of mustard but this looks good so I will be willing to try this. The taste, unbeatable. The color needs a little help. Next time I will add some red cabbage and maybe a carrot. But it sure does taste amazing! I was born and raised in TN, and my mom always put mustard in her coleslaw. This looks yummy. I’ll be making it to serve at a party this weekend. Thanks!